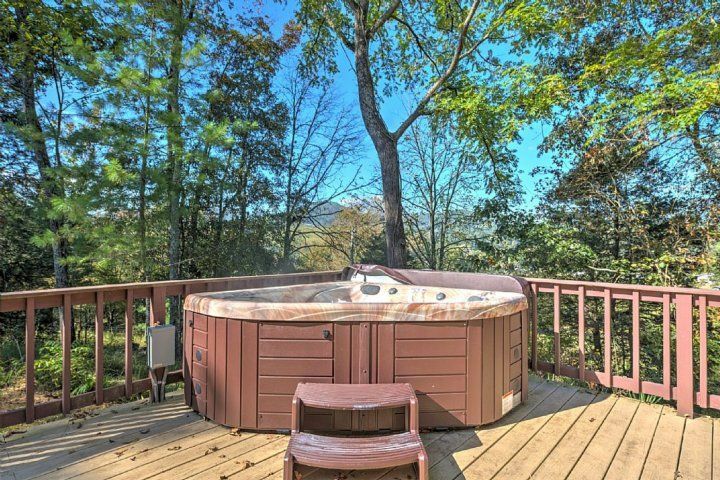 Whether you're looking for a romantic escape or a fun family adventure, you'll discover your favorite Smoky Mountain getaway at The Timbers! 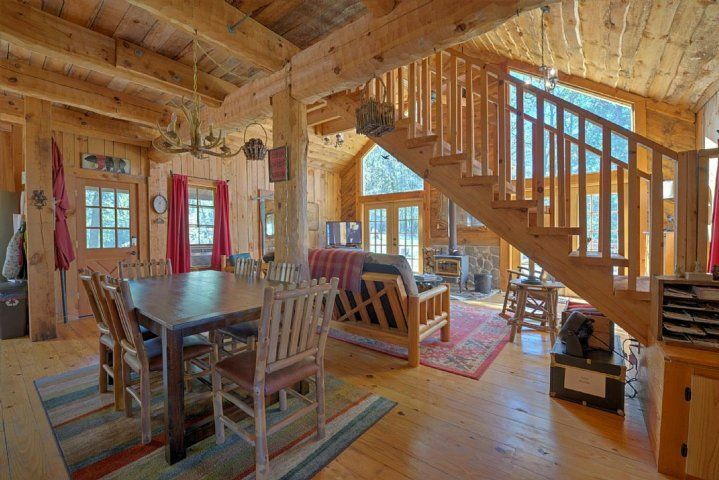 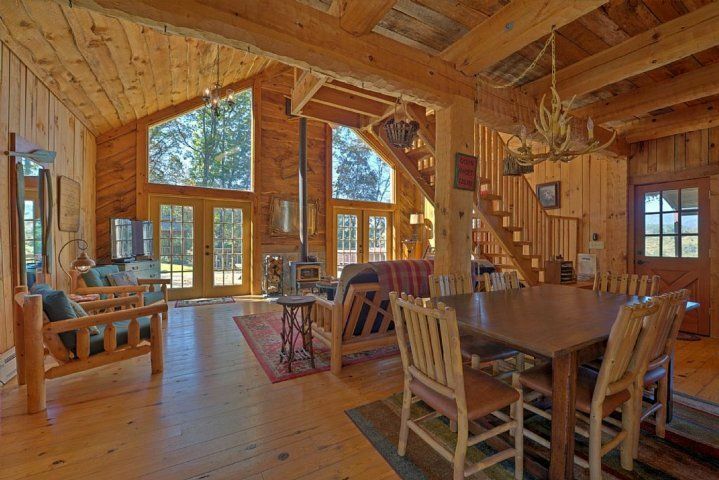 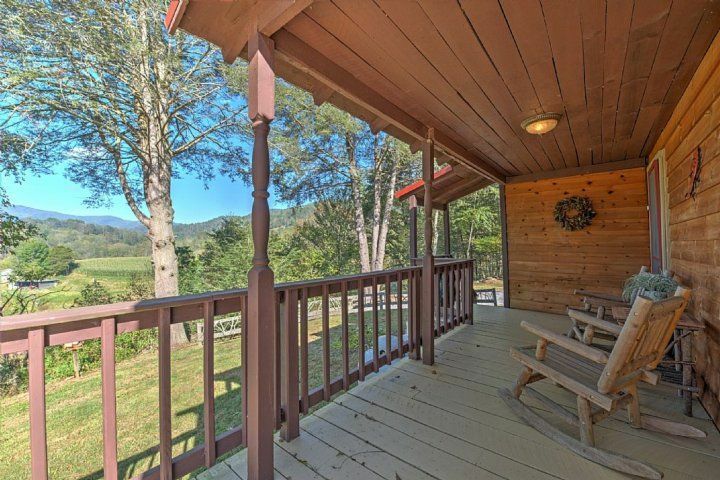 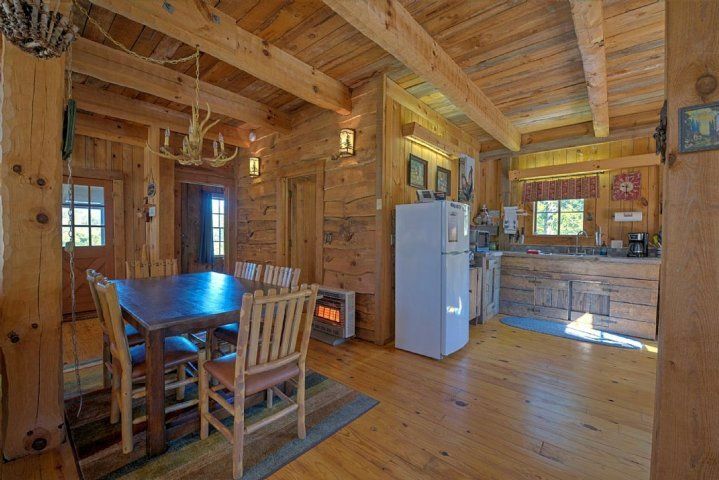 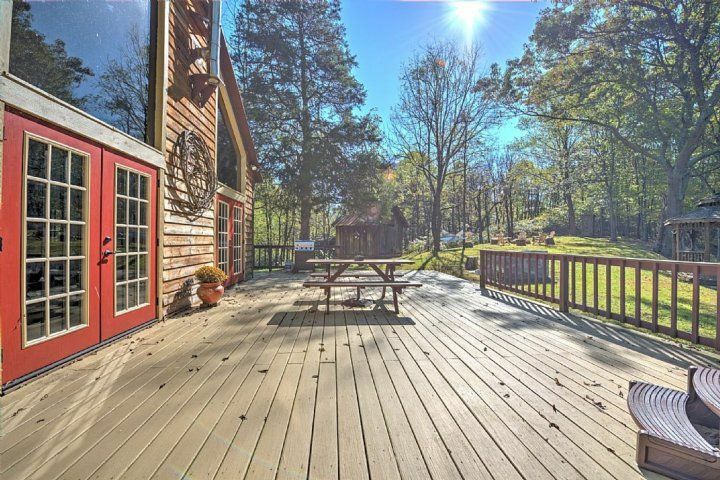 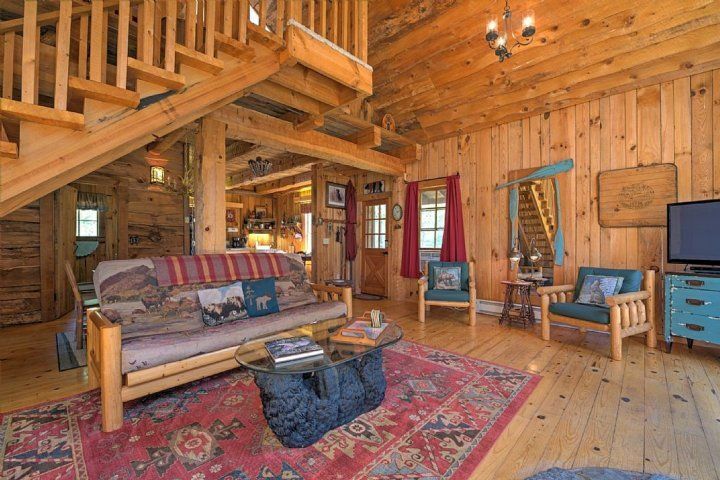 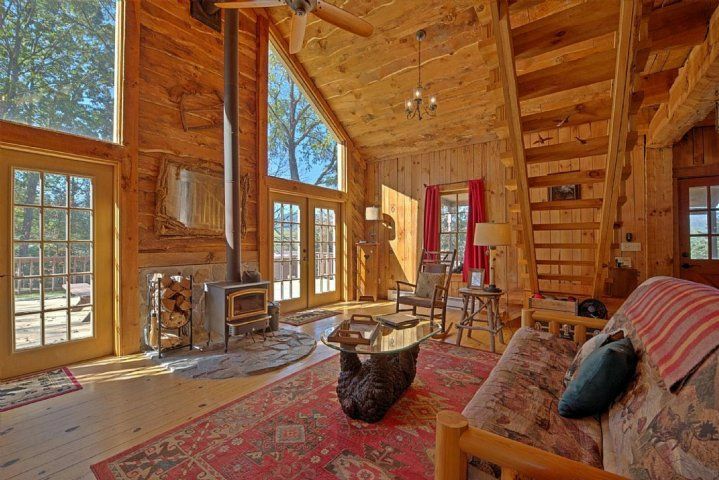 This cozy log cabin offers absolute privacy and an outdoor entertaining area for those seeking to experience the natural beauty of Western North Carolina. 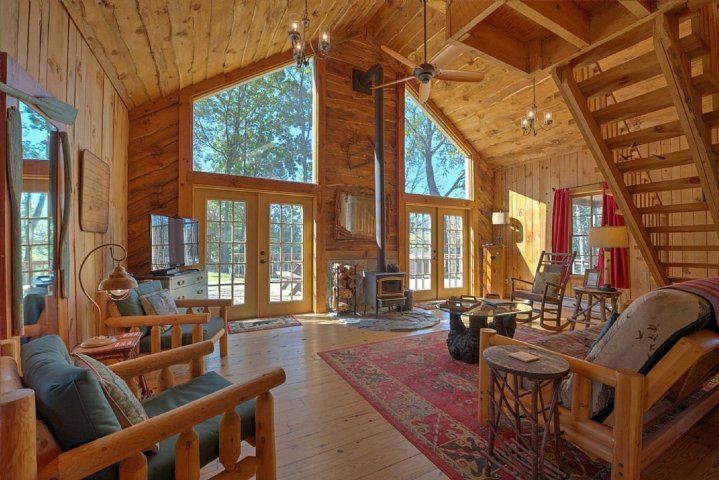 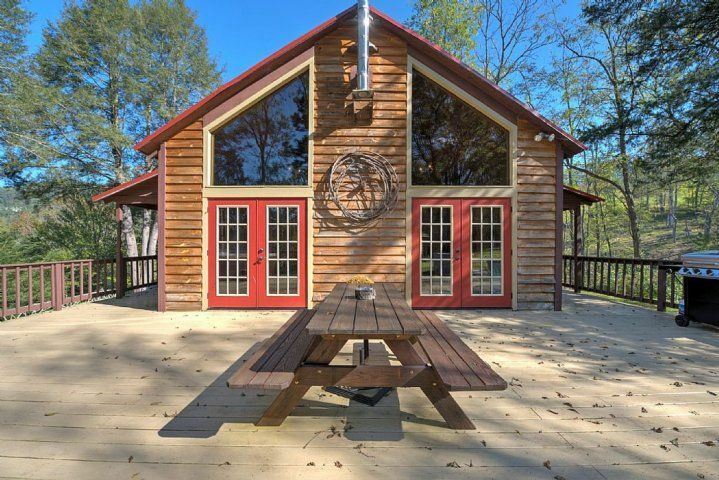 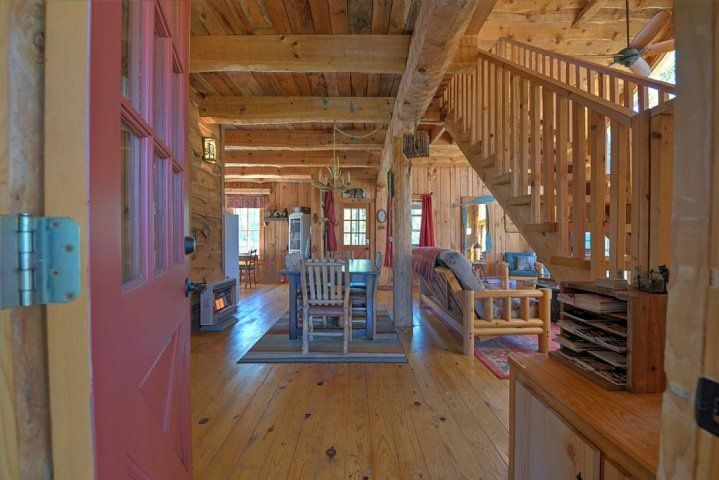 Filled with natural light and rustic elegance, The Timbers provides guests with a valued opportunity for bonding time. 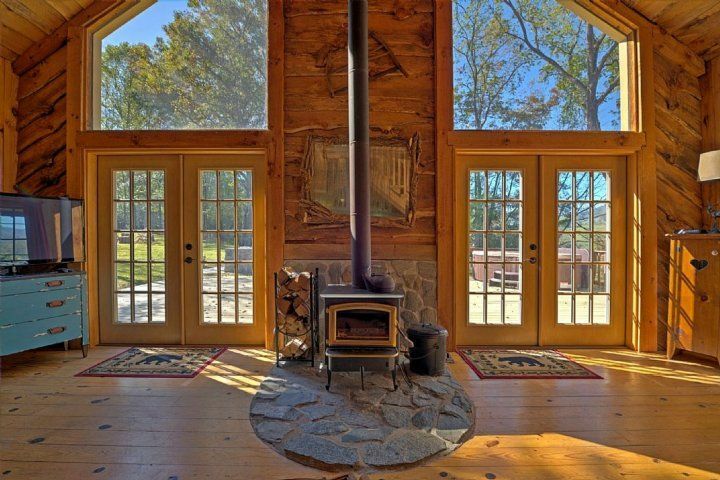 Come together for a home-cooked meal, then warm up by the wood stove and watch your favorite movies, available with access to streaming services (guests must use their own account for Netflix, Hulu, etc.). 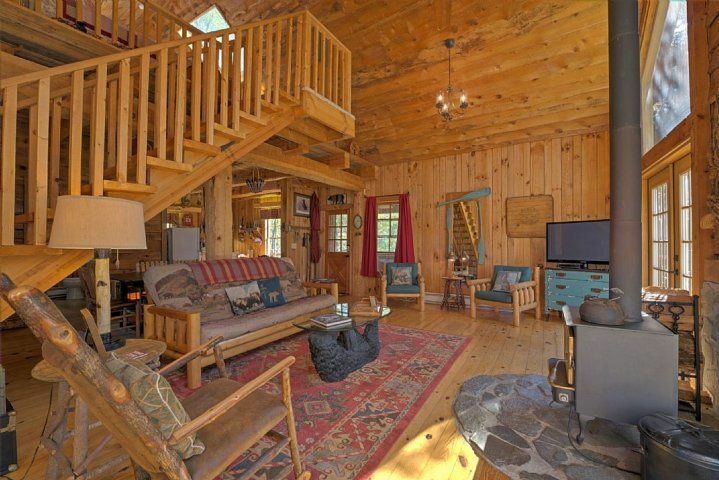 There's also a DVD player, plus a "Region Free Blu-Ray Player" for international travelers. 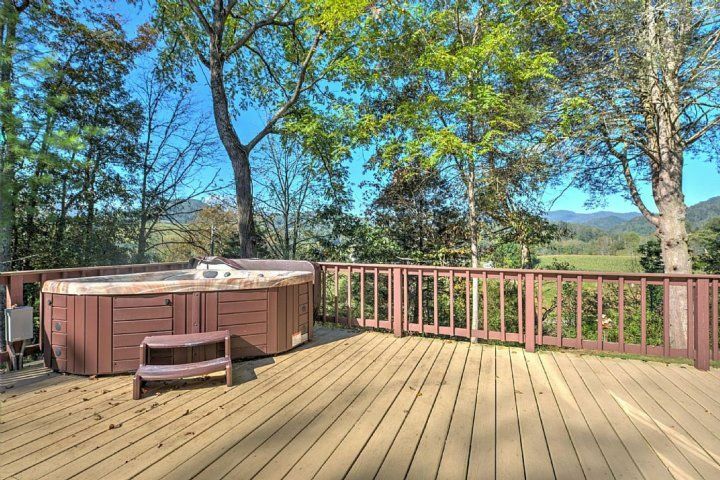 Charming touches such as the clawfoot bathtub give the cabin a comfortable vibe that will keep you coming back to visit in all seasons! 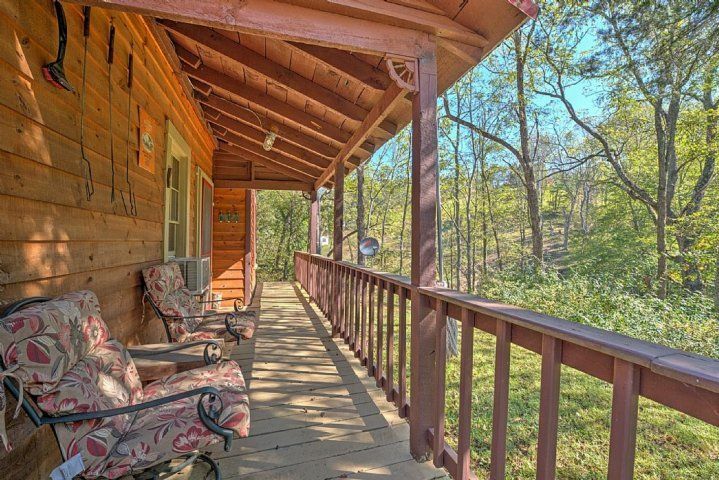 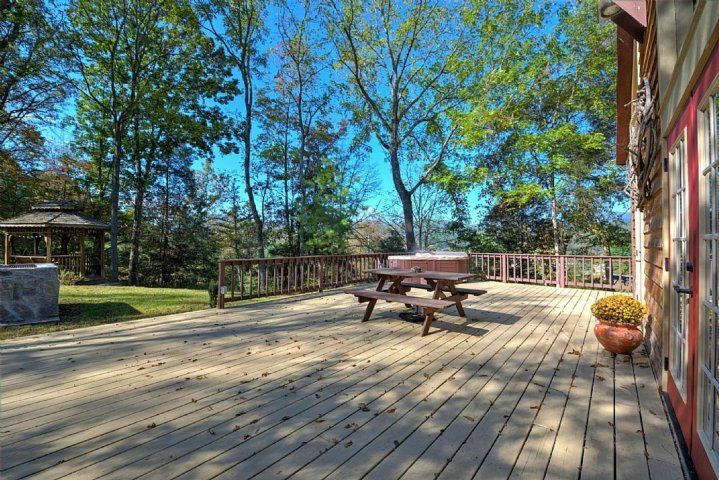 Situated on a beautiful wooded property, The Timbers provides plenty of relaxing places to hang out where you can enjoy the seclusion and mountain views. 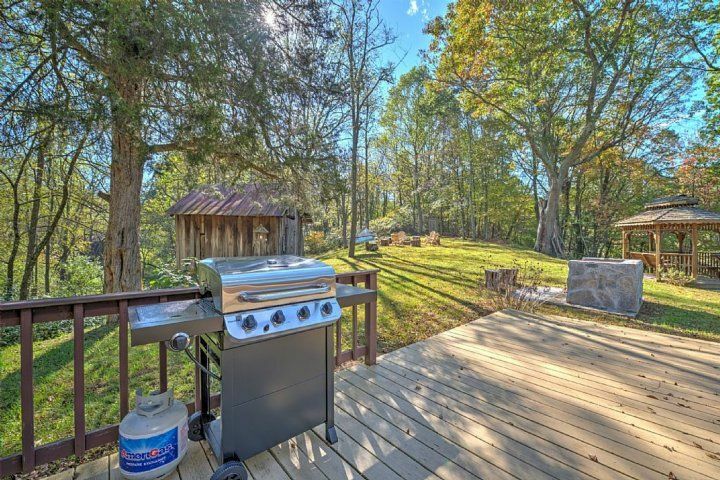 Kick back in the hammock and read a book, enjoy the view from the swinging bench in the gazebo, make dinner on the charcoal barbecue, and spend enchanting evenings by the fire pit while gazing out at starry skies. 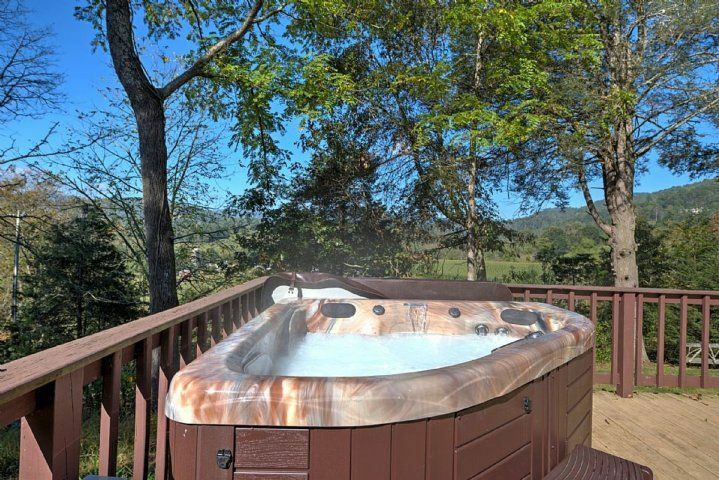 Of course, the bubbly hot tub is everyone's favorite way to unwind! 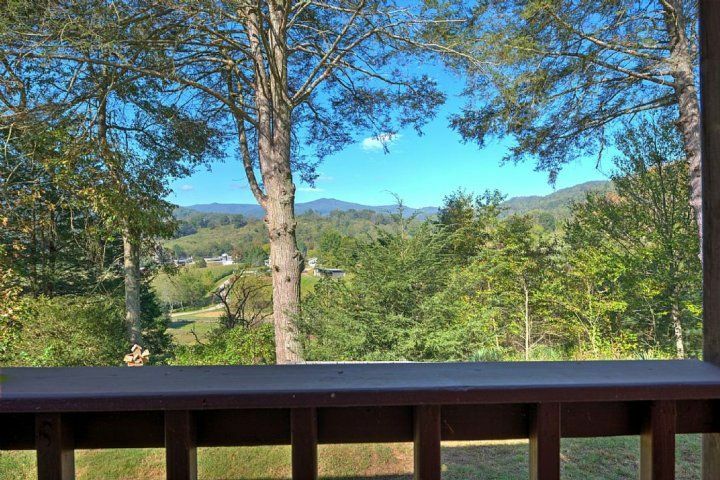 Look no further--you've found a gem of a Smoky Mountain vacation rental at The Timbers!